No child should bear family separation. 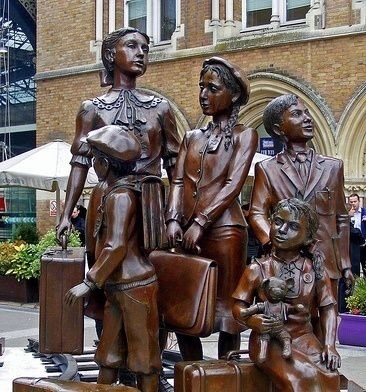 This memorial to the 10,000 children separated from their families during the Holocaust stands outside a railway station in central London. APRIL: Wednesday, April 17, 2019. 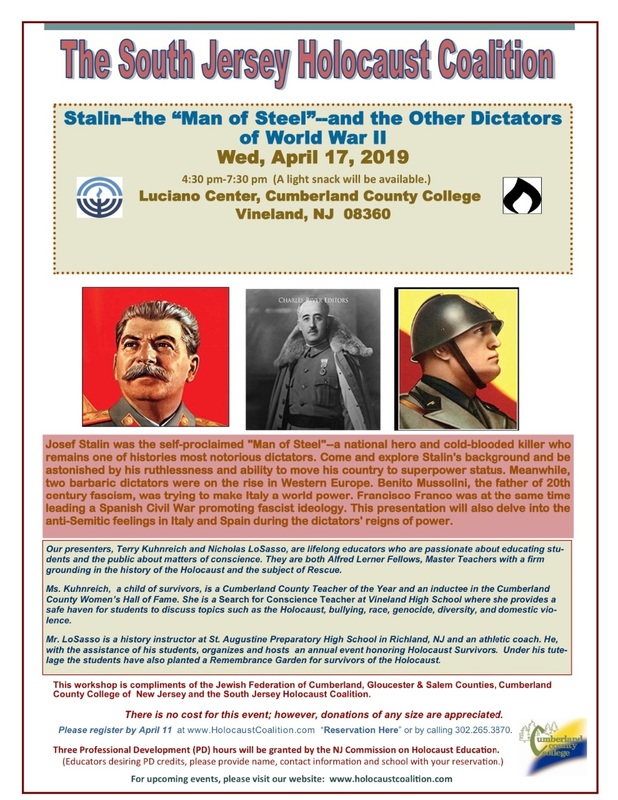 Stalin - Man of Steel - and the Other WWII Dictators. Presenters: Nick LoSasso and Terry Kuhnreich. Students and Survivors at St. Augustine Prep. May: Lynching in America and The Red Summer of 1919. To REGISTER for an event, see "Register HERE!" above in event description. To cancel from any event, click HERE. 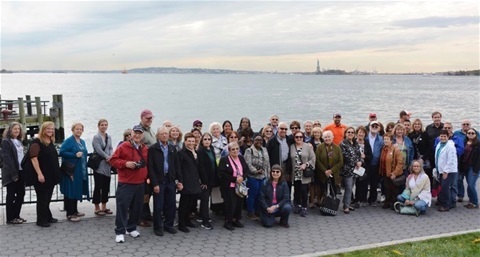 The South Jersey Holocaust Coalition partners with The Jewish Federation of Cumberland, Gloucester and Salem Counties to offer educational opportunities to educators and the public on issues and themes related to the Holocaust. The South Jersey Holocaust Coalition is part of the network of Holocaust and genocide education centers with the State of New Jersey Commission on Holocaust/Genocide Education. an excellent resource for educators and research: current articles on related themes, films, books and people of merit.